Spring has finally arrived! The flowers are blooming and the temperatures are warming, meaning it is time to get outside. Several upcoming events and festivals taking place in the Charlottesville area this spring season will give you the opportunity to do just that. 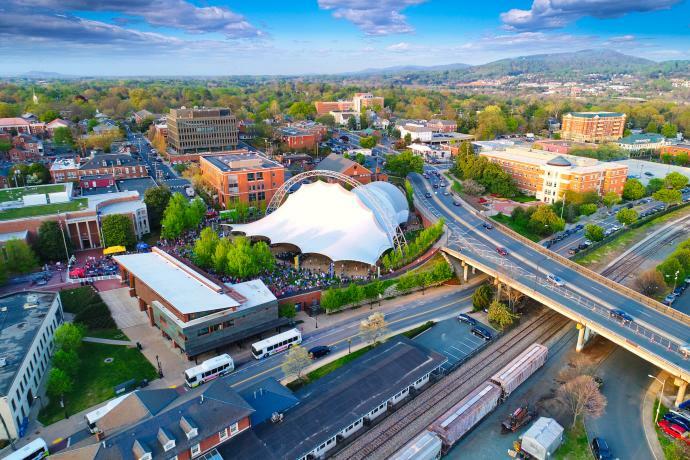 With a wide array of options for book lovers, wine enthusiasts, entrepreneurs, runners, art lovers, and more, Charlottesville and Albemarle County is the place to be as the temperatures continue to rise. You definitely don&apos;t want to miss out on any these great upcoming events! 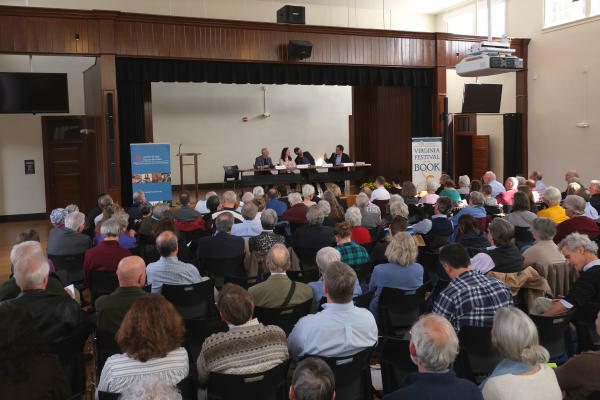 Join the Virginia Foundation for the Humanities for the largest book-based event in the Mid-Atlantic region which attracted more than 30,000 attendees last year from more than 30 states! Celebrate books, literacy, and literary culture by participating in any of the 250 programs with engaging discussions about important current issues. Previous years have presented a captivating list of authors from international best-sellers, to topical specialists, to debut authors, and most programs are absolutely free! Whether you’re an avid bookie or a novice writer, this festival offers something for everyone to enjoy - even the kids. Click here for more information about this year&apos;s Festival of the Book! Get out your running shoes for the oldest and most prestigious footrace of the year in the Charlottesville area! Early spring is the perfect time to enjoy the crisp air and Charlottesville&apos;s natural beauty while getting in a great workout, with rolling hills that you&apos;re sure to feel for the next few days. Over the past 40 years, competitors have raised thousands of dollars for local charities in this not-for-profit footrace. The course around the Charlottesville area is sure to present some challenging fun, full of great views and community camaraderie and lots of live music along the route! For more information about the Charlottesville Ten Miler, click here. 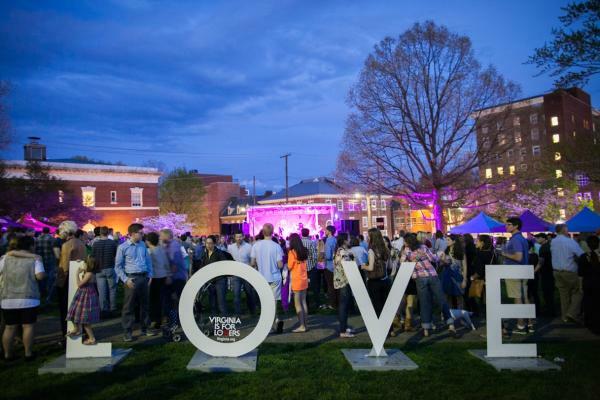 Come watch the city of Charlottesville transform into a week long celebration of innovators, visionaries, and artists who are helping to shape the future of small cities. The Tom Tom Founders Festival is both a community celebration with dozens of free events and a national platform inspiring leading entrepreneurs and civic innovators across the country. In honor of Founder’s Day (Thomas Jefferson’s birthday – April 13), the Tom Tom Festival brings in more than 70 bands and 400 speakers for you to enjoy in the outdoor spaces, theaters, galleries, and concert halls in the Charlottesville area. This year, the Summits will follow eight tracks, including health, food, and media, each exploring the future of industry and cities. Don’t miss out on a chance to hear speakers from Monty Python (John Cleese! ), News and Guts (Dan Rather! ), Buzzfeed, The New York Times, The International African American Museum, and more. For more information and a complete schedule of this year&apos;s event, click here. At the peak of Virginia’s springtime color, you won’t want to miss the opportunity to see unforgettable gardens in full bloom and beautiful houses sparkling with more than 2,000 flower arrangements, all created by Garden Club of Virginia members. During the 8-day statewide event, “America’s Largest Open House,” you will have the unique opportunity to visit over 250 remarkable gardens, homes, and historical landmarks. 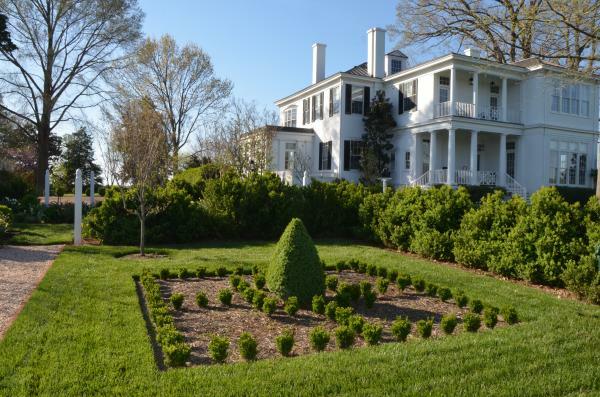 The first ever Garden Week in 1927 was rooted in Charlottesville, with the Garden Club raising $7,000 to preserve trees planted by Thomas Jefferson at Monticello. Proceeds today still fund the restoration and preservation of Virginia’s historic public gardens. Click here for more information about Historic Garden Week! Charlottesville’s #1 Festival since 1950 has a wide array of events to keep you busy this spring. The festival, celebrating the official flower and tree of the state of Virginia, has plenty of fun activities and attractions for the whole family. Children of all ages will enjoy games and rides at the carnival, fun floats and performances at the candy-themed parade, listening to over 90 musicians from the Municipal Band of Charlottesville, and much more! Don’t miss out on this fan-favorite Charlottesville festival. Click here for more details! Bring out your floppy hat, bright clothes and bowtie for the 41st annual tradition of the Foxfield Spring Races! Late April is the perfect time in Charlottesville for a day full of tailgating and horse races. More than 25,000 guests gather at the beautiful venue each spring to watch equestrian steeple chasing on the picturesque, but challenging, Foxfield course, designed to attract thoroughbred owners and trainers. For more information about this year&apos;s spring races, click here! Round up the kids and get in touch with your artsy side for the ever-popular Crozet Arts & Crafts Festival, this Mother&apos;s Day weekend. 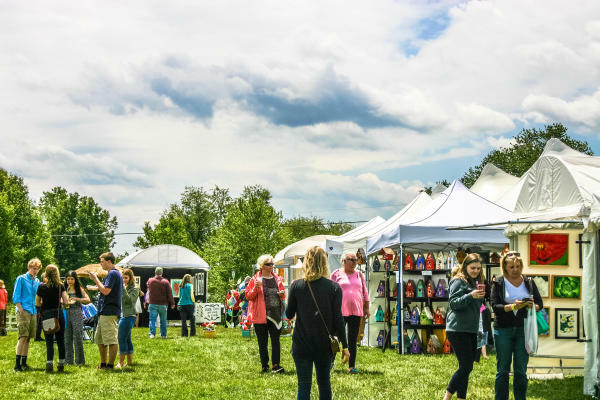 Dozens of the Charlottesville-area’s fine art and craft exhibitors will be showing and selling their handcrafted works in the beautiful setting of Claudius Crozet Park, a short and scenic drive west of Charlottesville. With live music featuring genres from Southern Gospel to rock and roll, there is something for everyone to enjoy. While taking in the art and music, you can enjoy food from a variety of on-site vendors and some of the best local wines the region has to offer! For more details about this fun festival, click here. You know spring has finally arrived when Charlottesville’s favorite concert series returns to the Sprint Pavilion on the Downtown Mall! Starting in April, unwind every Friday afternoon though the spring and summer with free concerts from great local artists, local craft beverages, and the fresh Virginia air at this outdoor music venue. Bring the whole family with blanket in tow and join hundreds of others on the beautiful grassy lawn outside of the pavilion, as visitors and locals have been doing for more than three decades! Click here for more information about Fridays After 5! Head on down to Charlottesville City Market Saturday mornings between April and December to get some great fresh foods and crafts in a lively atmosphere. On Saturday mornings, the parking lot between Water Street and South Street offers a producer-only market of farmers, food vendors, crafts, and artisans. The market is always flourishing with more than one hundred vendors selling fresh produce, herbs, meats, plants, crafts and baked goods, offering something for everyone to enjoy. 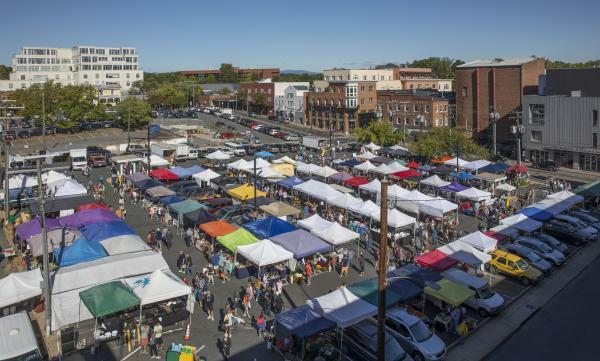 With rows of tents to explore, the Charlottesville City Market is the perfect spot to relax, take in the sun, and sample some of the best fresh produce, meats, and baked goods the Charlottesville area has to offer. More information about the Charlottesville City Market can be found here. You can’t think of Charlottesville & Albemarle County without thinking of wine! Recently named one of the top wine destinations in the WORLD by Wine Enthusiast, the Charlottesville area has a love affair with wine dating back to the days of Thomas Jefferson himself. The 5-day Taste of Monticello Wine Trail Festival features plenty of wine-centered events including the Monticello Cup Awards at the Jefferson Theater, winery visits followed by a series of winemaker dinners at some of Charlottesville’s best restaurants, and the huge wine tasting event at the Sprint Pavilion, featuring 25 local wineries and live entertainment. Special VIP packages with catered food and exclusive wine samples are available as well. Click here for more details about the Taste of Monticello Wine Trail Festival! With all of these fun festivals and events, it’s hard not to be excited for spring! With temperatures rising and flowers blooming, the Charlottesville-area is ramping up the activities for folks of all ages to enjoy! 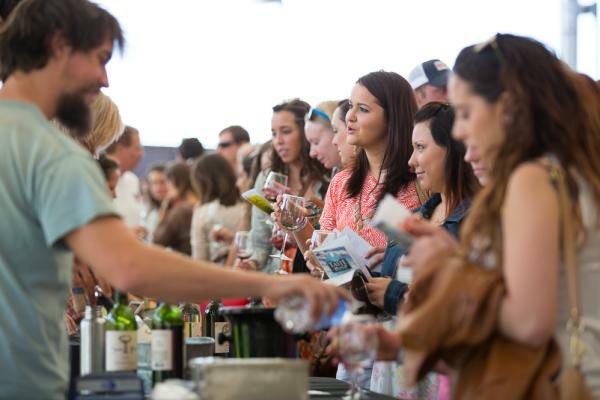 From music to wine, festivals to horse races, there&apos;s something for everyone. Be sure to browse our website for even more ideas as you plan your upcoming spring trip to the Charlottesville area and don&apos;t forget to check out our lodging page for more information about all of the region&apos;s hotels, inns, B&Bs, and resorts! Now it&apos;s time to get out there and smell the flowers, while exploring all that Charlottesville & Albemarle County has to offer this spring!